Want to take a peek at our culture? 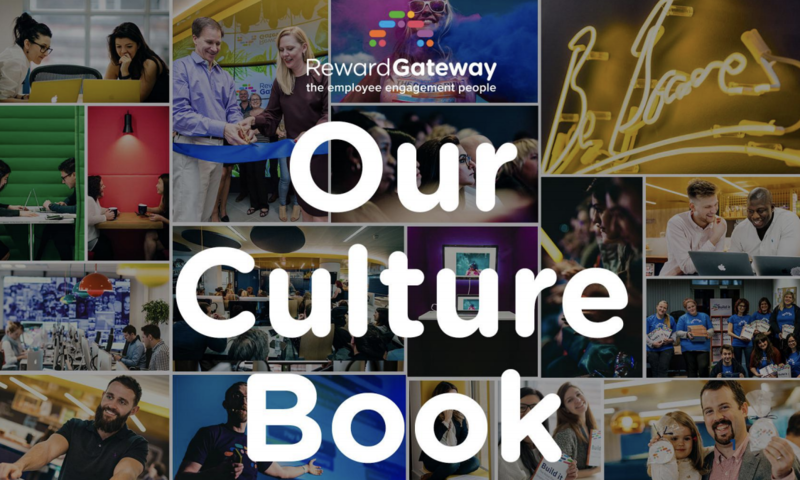 Download our Culture Book to step inside the Reward Gateway culture and see how we excite and engage our employees across the globe. 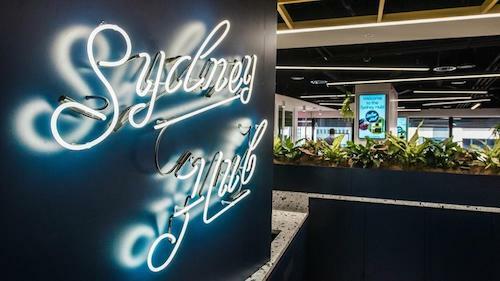 Early this week Reward Gateway’s Sydney team moved into its permanent offices on the top floor of Australia Square Plaza. 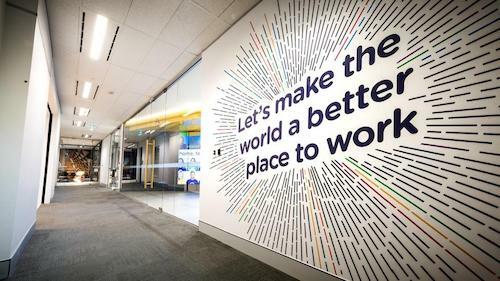 The energy and excitement levels have been through the roof all week as our staff and clients have explored our new home away from home. 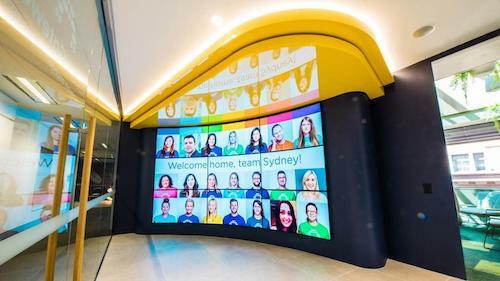 The office’s open plan and bright colours have combined Reward Gateway’s global brand and established office design (in our London and Boston hubs) with a distinct Australian character. To get an idea of the process behind creating such an iconic workspace, we spoke to Jess Marinic, Design Manager, Intermain, who partnered with Reward Gateway to design and construct the new office. 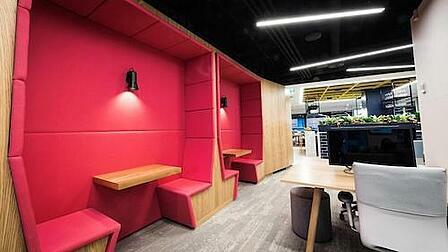 That Australian flavour flows through every detail of the new office. 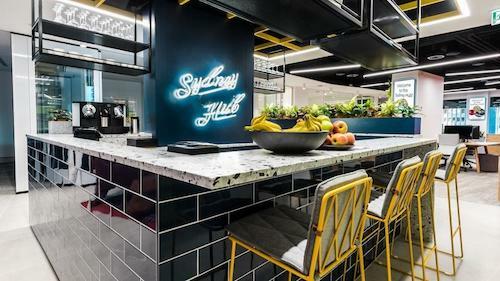 Housed in an iconic building designed by Australian architect Harry Sedler, the office is full of furniture and fixtures from leading Australian designers such as Jardan for its oak workstations, lounges, ottoman and recycled telegraph pole stools; Ross Gardam pendant lights; and Volker Haug, Anchor Ceramics, Grazia & Co, Montage Interiors and Mud Australia. 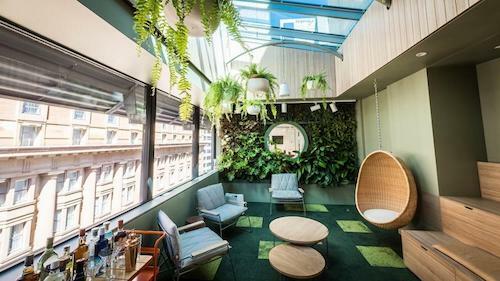 The office also brings our Aussie love for indoor/outdoor living with its green room, which contains a living green wall and skylight. 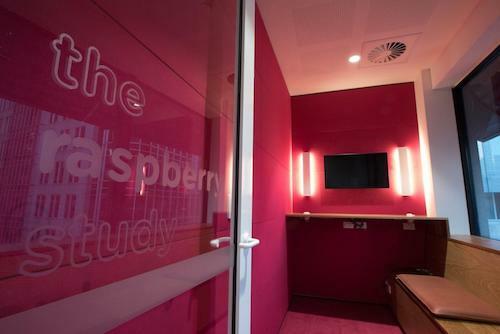 It is one of several zones that distinguish different work areas within the Sydney office, including space designed for teamwork, collaboration, meeting, socialising and of course private reflection and focus. 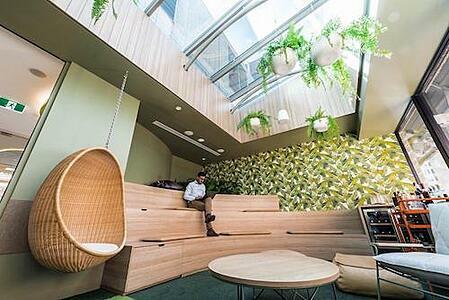 The space is purpose-built for collaboration, creativity and community. 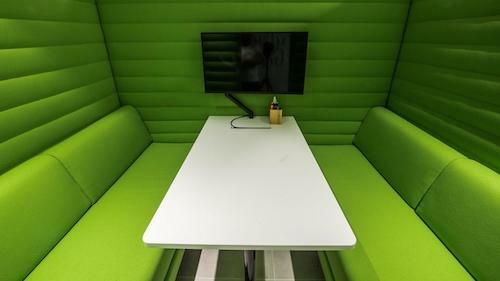 Forget fixed desks - employees have the freedom to choose where to sit depending on the type of work they’re doing. Quiet reflection rooms are available for focus or thought, a dedicated video studio supports the production of open and transparent communications for both employees and clients, and stand up desks, meeting rooms and collaboration pods all contain video-conferencing facilities, making it easy to collaborate with Reward Gateway’s 350-person global team. 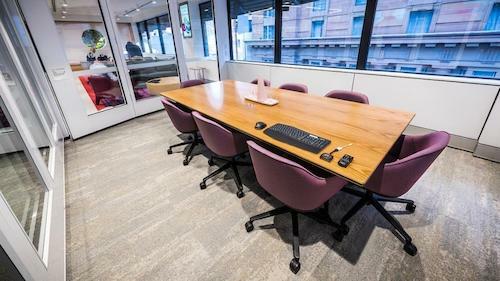 The two meeting rooms also open up to host over 40 guests in theatre-style seating. 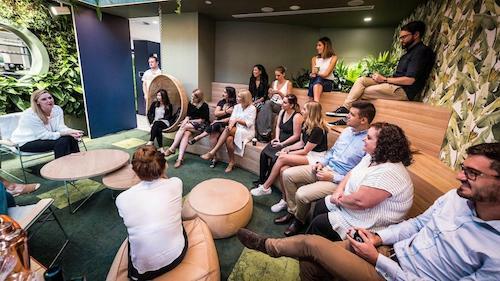 Having recently hosted breakfasts and lunches, the Reward Gateway team is looking forward to using the space to create more opportunities to connect with Sydney’s HR community.